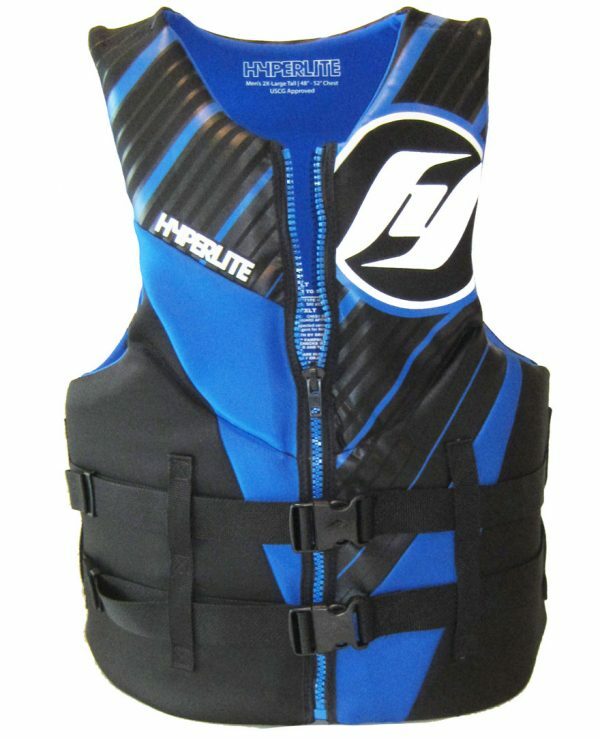 Hyperlite TALL NEOPRENE Life Jacket comfortable men 280lb, 300lb, 400lb +more, BIG & CGA approved. 3″ longer torso for better coverage. Women buy this too. 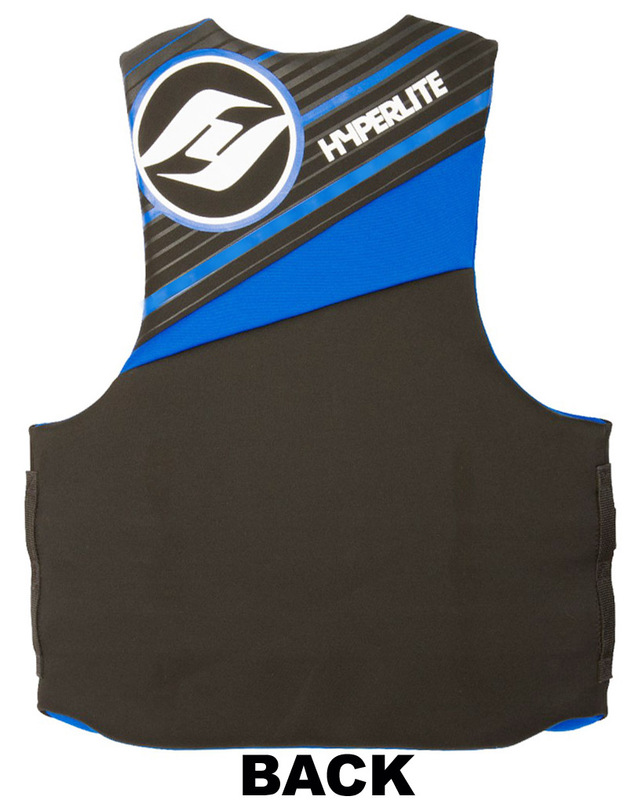 The new Hyperlite Indy TALL NEOPRENE life vest is the ONLY TALL NEOPRENE life vest on the market. 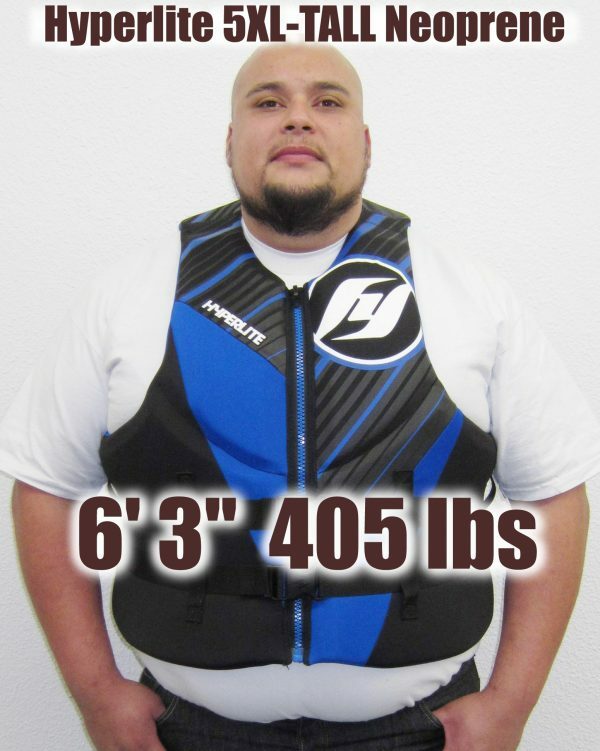 The size 5XL-TALL is the largest neoprene life vest in the world and will fit a 400 lb+ man. It has extra 3″ length to help cover the torso and tummy. Compared to regular length life jackets, the extra 3 inches length. Does NOT look like a bra or crop top on tall men. Comes in sizes 2XL-TALL, 3XL-TALL, 4XL-TALL, and 5XL-TALL. This super soft comfortable Oversized Neoprene life vest is USCGA Coast Guard Approved for your body weight. It has an outer and inner Neoprene layer with segmented foam panels, a front zipper, two 1.5 in adjustable belt buckles with EZ quick Release, and Hyperlite Logos. 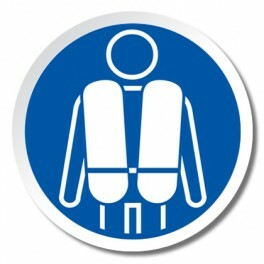 This is a Type III PFD (Personal Flotation Device). Intended use: Waterskiing, Wakeboarding, Fishing, Canoeing, Rafting, other sport for water safety in lake or ocean bay. 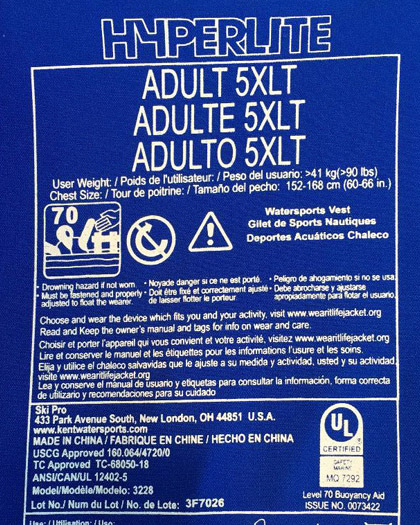 Because of the additional amount of neoprene and foam in the 5XL-TALL (5XLT), this life jacket achieved Coast Guard approval using the NEW system that applies universally to USA and CANADA. See picture of size stamp inside the vest. In addition, with the additional amount of neoprene, the 5XLT stretches more than the smaller sizes and has some contingency length in the straps. You will be able to buckle it up when stretched larger than what is indicated on the size charts. WaterSkiWorld helped Hyperlite design the 5XLT with this extra strap length after trying it on men who weighed over 400 lbs.